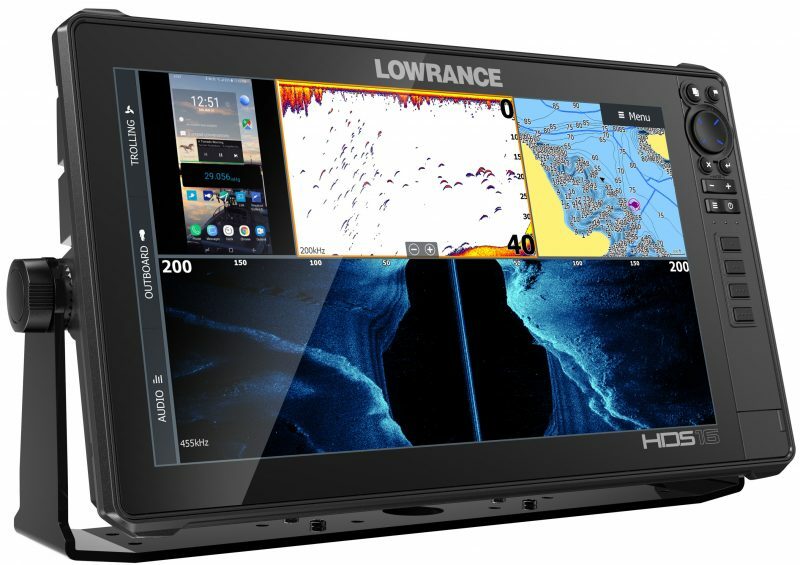 Tulsa, Okla. – Lowrance, a world-leader in fishing electronics since 1957 — announced today the release of its new high-performance line of fishfinder/chartplotters, HDS LIVE. 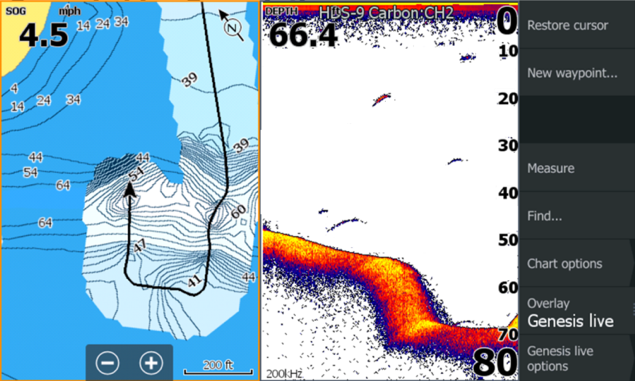 A significant leap forward in fishfinding technology, HDS LIVE delivers powerful real-time sonar, charting and connectivity features including Active Imaging, LiveSight, Genesis Live and LiveCast smartphone integration. See structure and cover with a new level of refined detail and at a range unmatched by any other structure imaging technology with Active Imaging. Offering industry-leading clarity without sacrificing range, it delivers unmatched image quality of structure, fish and bottom composition. 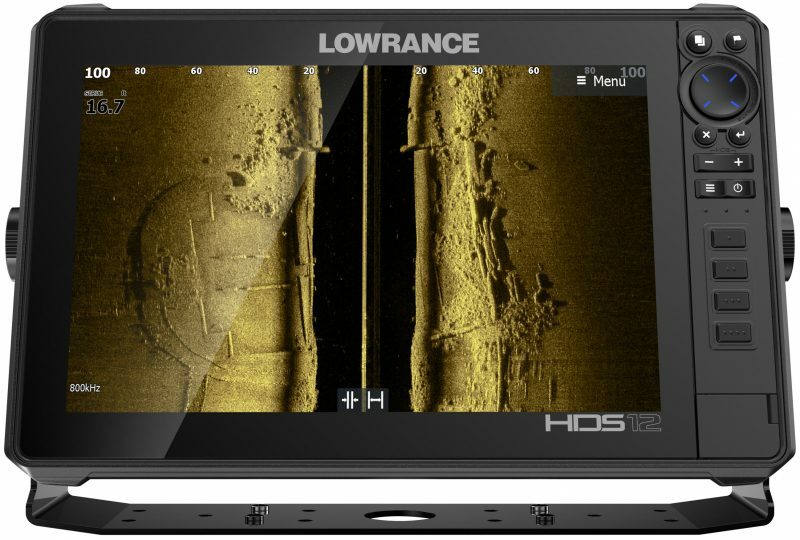 Active Imaging 3-in-1 sonar combines Lowrance CHIRP, with SideScan and DownScan Imaging allowing anglers to quickly search fish-holding structure, and enhances FishReveal with higher-level clarity and target separation. Active Imaging 2-in-1 sonar includes Side and DownScan Imaging and is perfect for use with a separate traditional sonar transducer. Simple to use without the need to change frequencies while fishing in most conditions, Active Imaging 800 kHz provides crystal-clear detail with uncompromised range. For anglers needing to see further than 120 feet, Active Imaging can also operate at 455 kHz. Active Imaging enhancements — including greater resolution, a cleaner 3D view and a new Custom Depth Shading feature — are coming to existing StructureScan® 3D modules in the Fall of 2018 through a free software update. 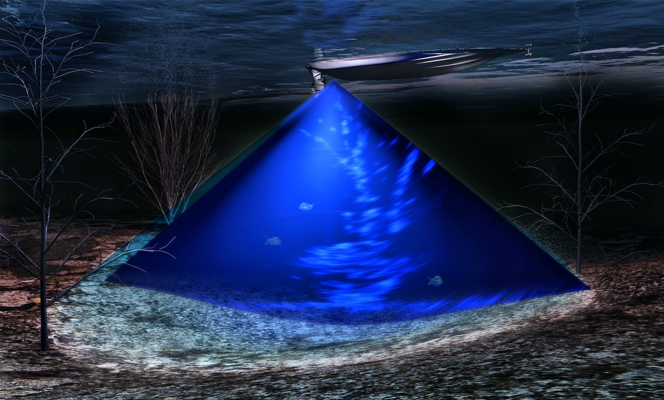 Sonar interpretation made simple, LiveSight sonar delivers the most detailed views of fish, down to every turn and flip of the tail, as they swim in and around cover. You’ll be fishing in real-time as you watch fish react to your lure, see how they are relating to structure and gain insight on what will work, what won’t and what to do next. Perfect for drop-shotting, vertical-jigging or lure-tracking in front of your boat, LiveSight helps you pinpoint fish locations, so you’ll know whether they are actively feeding. Mount the transducer in a front-facing position to cast toward the fish, or mount it in a down-facing position to do some vertical-jigging below your boat. Delivering real-time, custom-mapping capabilities, HDS LIVE harnesses the power of Genesis Live charting, which uses digital depth to create depth-contour overlays on charts. Incredibly easy to use, users can control contour transparency, density of contours drawn on the screen up to unprecedented ½-foot intervals, depth and safety shading color palettes, and more. Charts can quickly and easily be saved to an SD card for continuous use. HDS LIVE features a stunning new low-profile design with edge-to-edge glass; a SolarMAX HD screen; bracket, flush and rear mounting options; user-programmable keys; and an optional fully-programmable Bluetooth® remote. Available in 7-, 9-, 12- and 16-inch display sizes, HDS LIVE ranges in price from $949 to $4,499. Active Imaging can be purchased as a bundle with HDS LIVE or as a separate accessory for $299; the LiveSight transducer is priced at $999. 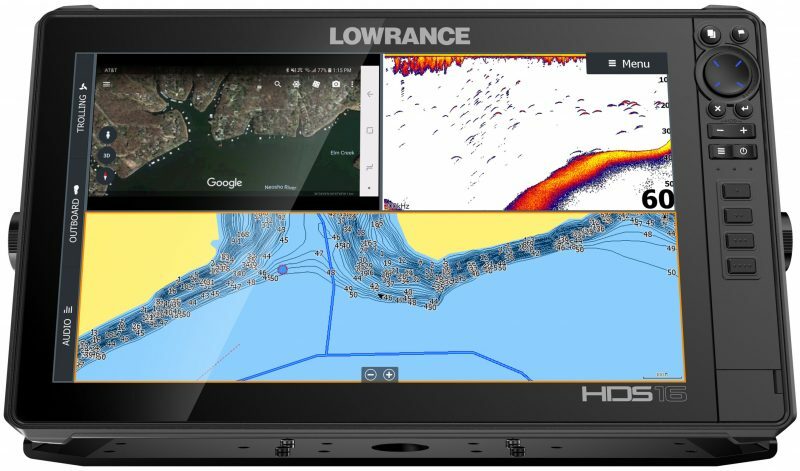 For more information about the all-new, high-performance Lowrance HDS LIVE, the complete line of Lowrance marine electronics, or to locate an authorized Lowrance dealer, please visit www.lowrance.com. Well, there’s an interesting new idea. “LiveCast Smartphone Integration” uses an HDMI cable to put your phone screen on the high bright Lowrance display while the phone can be stowed safely somewhere. Hopefully you can also control the phone from the MFD, but I’m not sure about that.